When you purchase a vehicle, you'll want it to be a solid, long-lasting investment. At Hendrick Dodge RAM FIAT in Cary, we offer our customers Mopar Vehicle Protection. Taking advantage of this program can be a smart choice, as it comes with several benefits. First, you'll have access to certified, factory-trained technicians whenever anything needs addressing. Having skilled people work on your vehicle can make a big difference in getting the most miles out of it. 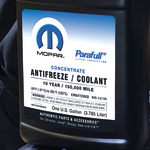 This program also includes access to genuine Mopar parts and service. Rather than getting substandard or random replacement parts, you'll be getting high-quality components meant to fit your model. There are two plans to choose from: Maximum Care and Added Care Plus. Maximum Care includes a $100 deductible and extended coverage on over five thousands components. The Added Care Plus package extends coverage on the powertrain and select other components.